Year 2016, 1000 hours worked. 150 tons pressing force, suitable for installing 500 mm and 600 mm wide U profile sheet piles. Equipped with crawler mounted EU300 stage 4 powerpack, reaction stand and remote control. Excellent condition and appearance, CE certified. Year 2004, 7000 hours worked. 160 tons pressing force, suitable for installing 1400 mm wide double Z profile sheet piles. Equipped with crawler mounted EU300 powerpack, reaction stand and remote control. 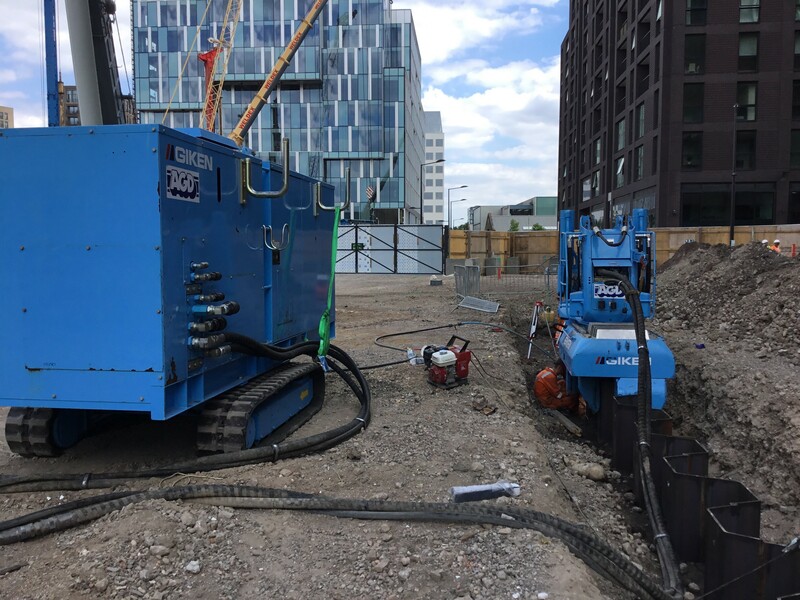 PA12 super crush equipment for installing up to 23 m long sheet piles in hard soils. Excellent condition and appearance, CE certified.